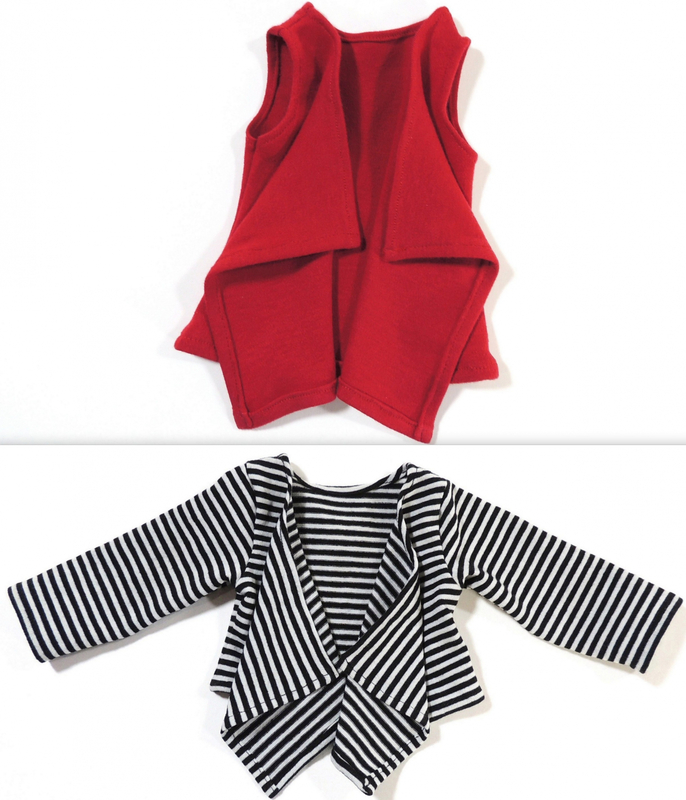 Cascade Jacket and Vest, PDf sewing pattern. 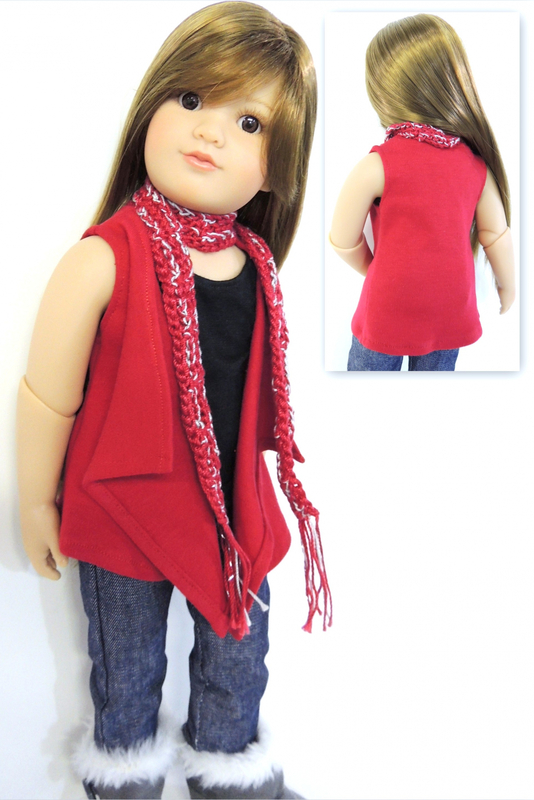 Stylish and easy to make, suitable for knit fabrics. Fits Slim 18 inch doll. 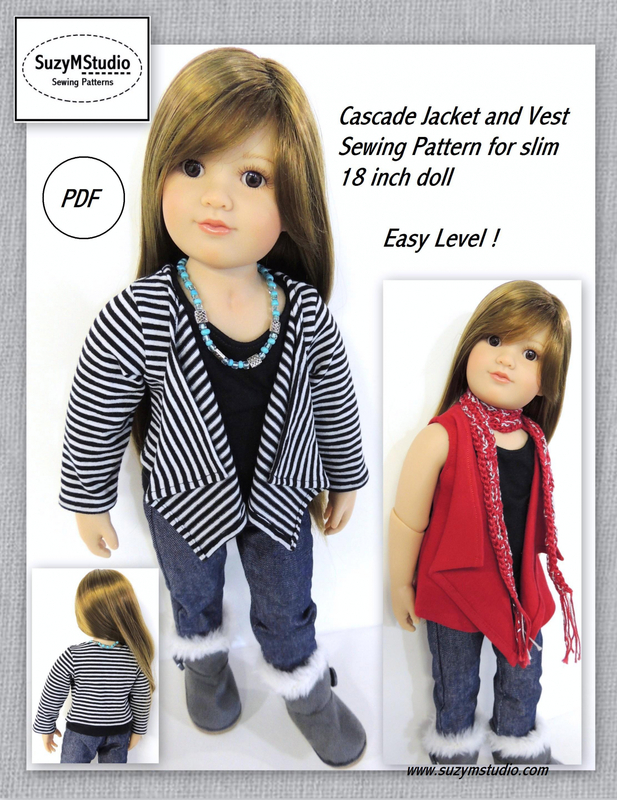 Made to Fit Kidz and Cats dolls. Designed by me, you may use this pattern to create clothing to sell, handmade only. Sharing, selling this document or mass production are not allowed.